Red Aluminum Mounting 1" Wall Standoff. 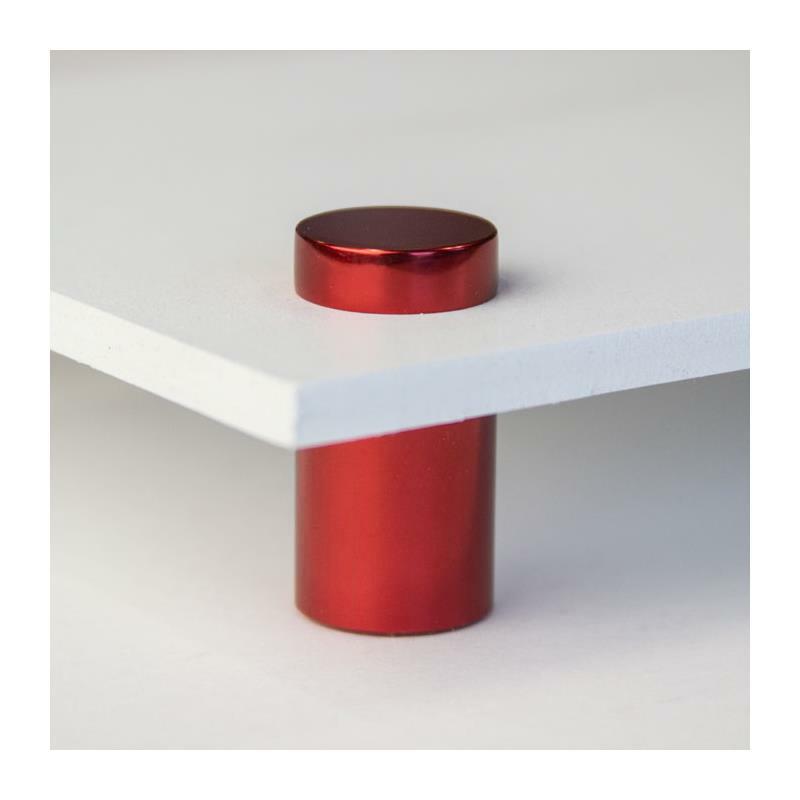 This red aluminum standoff is for mounting items to the wall. Designed to handle panels from 1/6" to 5/8" thick. Mounted items float 1" away from the wall. Works great for creating a uniques display or for putting LED lights behind for edge glows. Top screws off base items so can easily be installed. Comes with wall screw and plastic wall anchor.